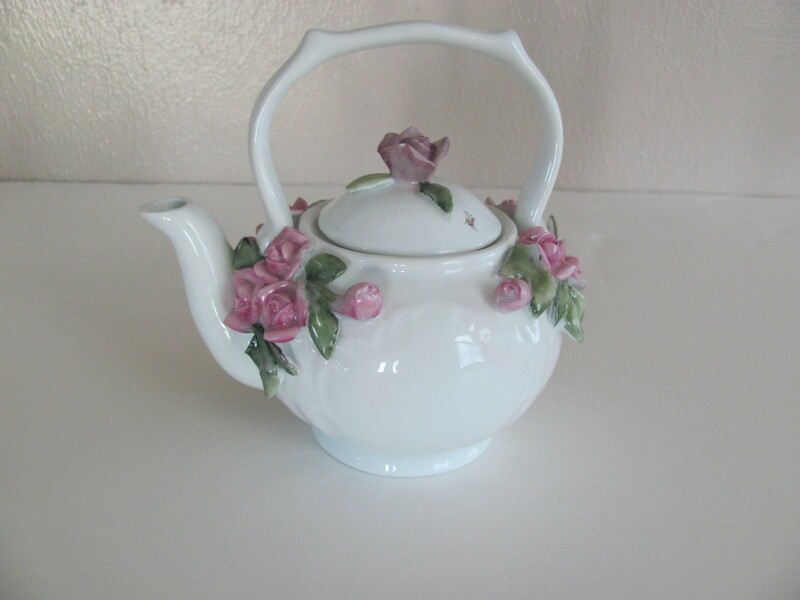 Home / TEA POTS, TEA SETS, CHOCOLATE & COFFEE SETS / Teapot with Embossed Roses – 11 oz. 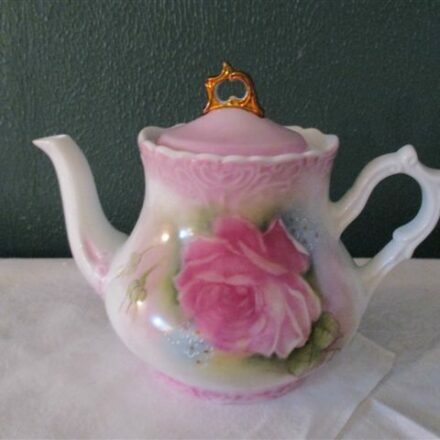 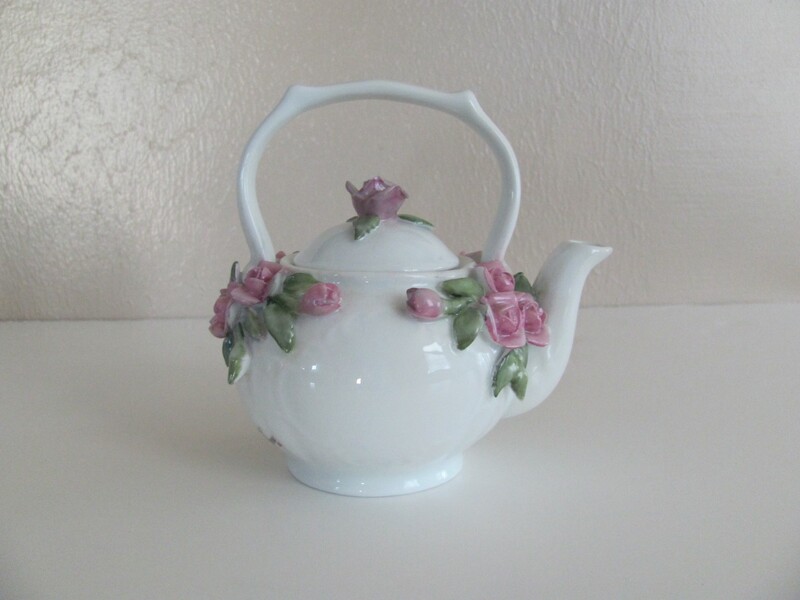 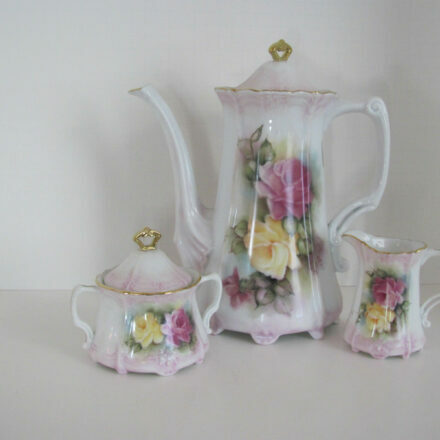 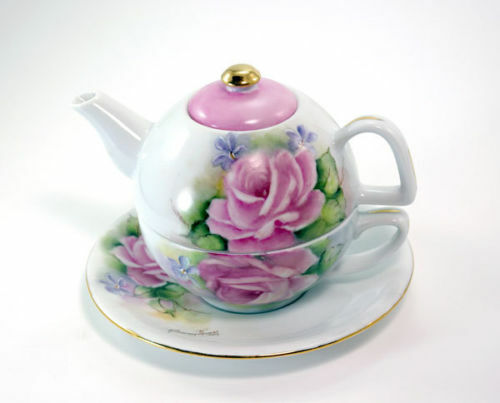 Tea pot with embossed porcelain roses, lid with adorable rose bud and handle made of porcelain, painted with pink rose and varied greens on the leaves, very dainty only 5″. 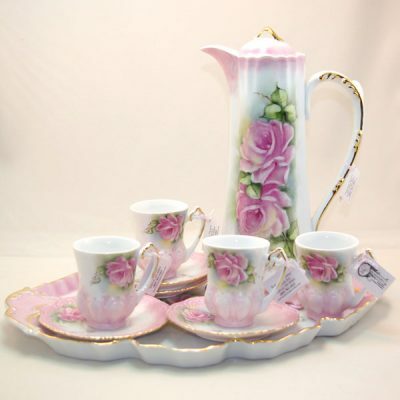 Fancy Scrolled Chocolate Set – Pot with 4 Cups & Saucers 9 pc.